Explore the wide open spaces of this breathtaking country with campervan hire USA. Many people make it their lifetime task to see all of the United States, and it’s not very hard to see why, with sights such as the Grand Canyon, Yellowstone National Park and the Statute of Liberty. 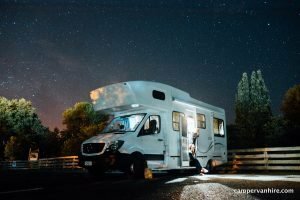 Hiring a campervan or recreational vehicle is a unique way to experience the USA, offering unbeatable comfort and flexibility on your holiday. With campervan hire, you create your own itinerary and take in the sights at your own pace – and with so much to see and do in the USA, there’s nothing better than the freedom to hit the open road and explore. By choosing campervan hire for your American adventure, you don’t have to limit yourself in choosing where to go. A trip to the West could take in the awe inspiring natural beauty of the Grand Canyon, the lights of Las Vegas, Hollywood and the beaches of the west coast. For the children there’s Disneyland California. If you are on a trip with a group of friends, your camper van will allow you to design your own wine tour in one of the world’s best wine producing regions. On the East Coast, start up in Maine and take your campervan south for a wonderful trip through the leafy slopes and clapboard houses of New England. One of the highlights of this region is just driving through it to enjoy the spectacular views, so hiring a camper van is ideal. You can then stop off in New York, visiting some of the iconic sights such as the Statue of Liberty, the Empire State Building and Time Square. Finally, head to Washington DC to see the Washington Monument and the White House. 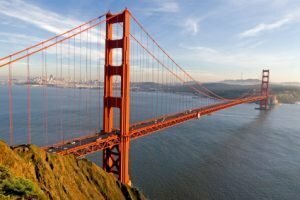 The United States has first class camper van sites, offering an excellent range of facilities and catering to all budgets and types of traveller. Whether you are on holiday with the kids or taking time out to unwind with a group of friends, the USA is a great place to visit by camper van. When you’re out on the road, there’s no better way to travel, because as long as you’re not driving you have the option to sit back and enjoy the views, or stretch out in the living area and rest, watch TV or play games. For children, hiring a campervan is a great option, providing a sense of adventure while relieving the boredom of long journeys. You can choose when and where to go and park up your campervan when you need to have a break. Hiring a recreational vehicle RV is also one of the most economical ways to enjoy the USA. You save the expense and hassle of hotels every night, because you have a moving accommodation base. You also don’t have to rely on public transport (which isn’t a great way to get around in the USA), or getting hire cars from different locations and having to return them. So look into hiring an RV, Motorhome or campervan for your holiday, and prepare to be blown away by the United States of America!